Another year and another NAPE. 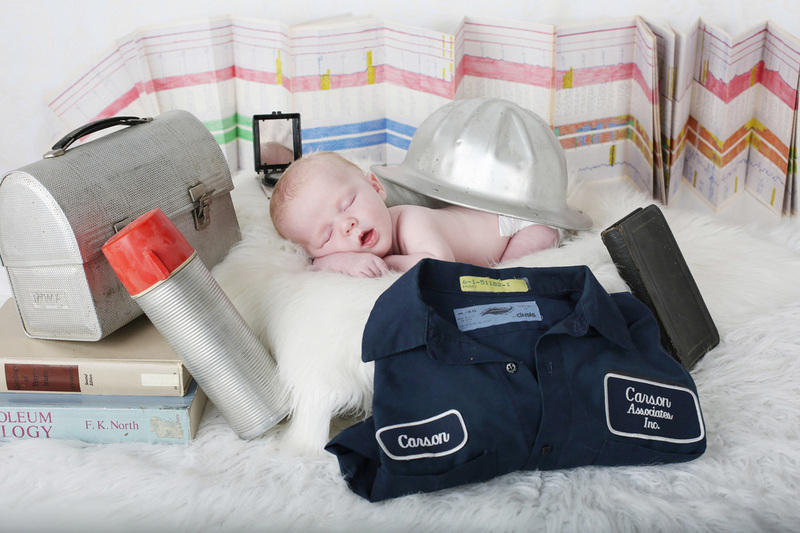 We were pleased at the optimism present for the Oil and Gas Industry. Energy Makes Eastern Kentucky Great! With the 2016 Presidential race looming over every aspect of our daily lives, I cannot help but take note of a political slogan I can rarely miss, "Make America Great Again." I've pondered on this statement: What makes America great? After great study, I recollected a book I once read called Energy Makes America Great by Marita Noon. While not a great literacy work to be compared to the Jane Austen, this book has expressly identified what I have grown up knowing in the oil and gas industry. Green is not sustainable, but neither is bad stewardship. How does ENERGY make America great? As a small town girl, in a small family oil and gas business, let me identify for you my America. My America is one in which I lease the minerals from a mineral owner is Eastern Kentucky (you know the area highly identified as economically stunted?). My father then assesses the property from a geological standpoint for value of drilling. If all the conditions look promising we drill a well. This well holds promise to us that we will be able to profit and maintain our local employees; employees who are like family and whom have been employed with my family for multiple generations. If all the stars align, the well will be economically successful. This means that not only did the mineral owner receive an economic boost from the rental rate to lease the minerals, but now they will receive income from the producing well. In an area known for its economic depression, these dollars make every difference to a mineral owner. This is also the best part about my job; seeing multiple people benefit from the success of innovation. BUT, the "buck" doesn't stop here. That oil produced from that well is sold to the local Marathon refinery. In a short un technical approach, that refinery (whom is one of the largest employers in Eastern Kentucky) refines that oil. One of those refined products then heads down the river to a plant in which it is made into plastic. That plastic is in turn made into sutures. Sutures used in open heart procedures and the like at our local hospital. A hospital that employees a multitude of locals and saves the lives of many more. A hospital that my husband works at and saved my grandmother's life. This full circle process benefits so many in our area and that ability to prosper a multitude of lives is my America. It is what makes me happy to say I live in Eastern Kentucky. A land of great riches. Don't be fooled in thinking that Energy is the problem with our environment; the problem is a couple of bad apples. I compare it to eating cookies (yes, cookies...stay with me here). I LOVE chocolate chip cookies. It is plausible to think I could go to the store and buy all the chocolate chip cookies and eat them all. Of course, we all know where that will end up...a bad stomach ache and many regrets later. If I eat a moderate amount of cookies then I'm left happy and satisfied. If I ban myself from cookies all together then I'm losing the benefit of the happiness it gives me. At the end of the day, energy allows us to have many great values in our lives from advanced medical care, electricity that allows us to work in hours the sun is at rest, and a greater happiness in our lives. Welcome Our Newest Member of Hay Exploration, Inc.
Henry Sturgill joined our team on March 20, 2015 as the 4th member of our 6th generation. We are proud to announce that Mr. Hay has participated in a successful work group along with other members from the oil and gas industry, environmental programs, and the state regulatory agencies to provide Kentucky with new, updated industry regulations. 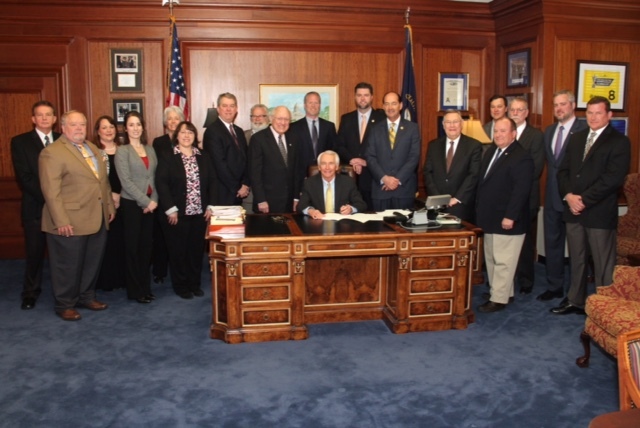 You can read HB 386 which was signed into law March 24, 2015 at the following link http://www.lrc.ky.gov/record/15RS/HB386.htm. Since 1994, Monte has focused on the Rome Trough play. Hay Exploration, Inc. is the top deep driller in Eastern Kentucky and has remained in the status for approximately 20 years. With the entrance of new companies into the Eastern Kentucky area, the Rome Trough is beginning to pick up more interest. This year's NAPE show was a vast success, and by Monica's standards an immensely memorable moment of her life. 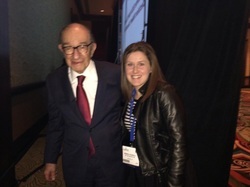 As an economist, Monica was greatly excited to hear former Federal Reserve Chairman, Alan Greenspan. Little did she know she may sneak in an opportunity to take a photo with him. We would like to thank all of our colleagues and industry partners for visiting our booth and allowing us time to jointly collaborate on the upcoming years of the Oil and Gas Industry. Currently, Hay Exploration is working to develop the horizontal oil play in Lawrence County, Kentucky. Hay has drilled approximately 10 wells with ambitious drilling plans for 2014. With the increase in oil prices, this play has proved to be a great return. For more information on the Berea project, please follow the link below to the KGS' website.